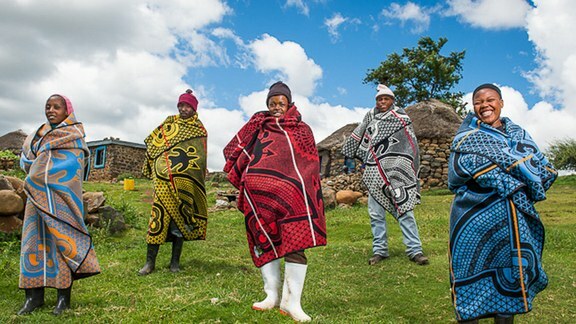 The Prime Minister, Dr Thomas Thabane says the government is committed to improve lives of Basotho and to root out poverty in all its forms in Lesotho. Addressing hundreds of people attending the Prime Minister’s public gathering held at Ha-Tamanyane Pitso Ground at Pokane in Quthing, Dr Thabane said it is the responsibility of the government is to among others maintain good governance, transparency, security as this will easily attract investors to support Lesotho overcome its challenges that include promotion of good health and job creation. He noted that the government is aware that some groups in Quthing such as Baphuthi and Xhosas are not represented in the Upper house of Parliament (Senate), saying government will work on this issue in response to a long time plight of the Quthing community. Talking about initiatives to improve the lives of Basotho for better, Dr Thabane said second phase of the Millennium Challenge Compact (MCC), the United States of America funded project which is expected to help Lesotho to combat poverty is to kick off in December, and that Cuba has pledged to train Basotho medical doctors, India pledged to support improvement of services and skills in kidneys and cancer treatment and an establishment of tractors and other farming machinery plant while Switzerland pledged to support job creation through different development projects. He said to further address challenges faced by Quthing communities and improve service delivery, the Ministry of Communications, Science and Technology through the department of Postal Services should build a Post Office at Pokane and that the Ministry of Health should build a Health Centre/Clinic at the area, adding that Quthing District Administrator should facilitate upgrading of sports grounds in schools. Also speaking was the Principal Chief of Quthing, Chief Hlabathe Nkuebe who appealed for government support to livestock farmers, saying the district is in the mountains as thus its people depend mostly on livestock farming than in crop farming hence these farmers should also be assisted to improve their production as is the case with crop farmers who usually get subsidy to improve their production. Chief Nkuebe further appealed to Members of Parliament for Quthing district to unite and work together despite their political differences to improve the lives of Basotho. Speaking on Behalf of the Members of Parliament for Quthing, a Member of Parliament for Tele constituency, also Deputy Minister of Education and Training, Mr. Mothepu Mahapa expressed concern that electricity supply coverage is low in the district and that there are many villages that lack clean water supply and pit latrines. The Prime Minister’s public gatherings are aimed to inform the public about current activities carried out by the government as well as plans intended to improve the lives of Basotho. Present at the public gathering included Deputy Prime Minister, Cabinet Ministers, Members of Parliament, chiefs, government officials, Community Councillors, school children and the public at large. A similar public gathering will be held in Leribe on Friday next week.